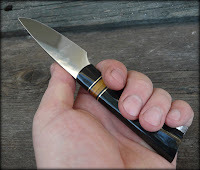 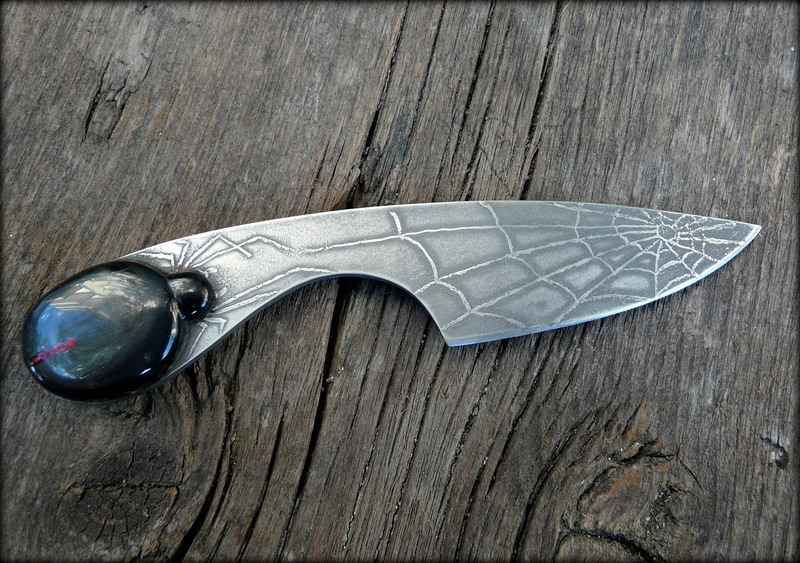 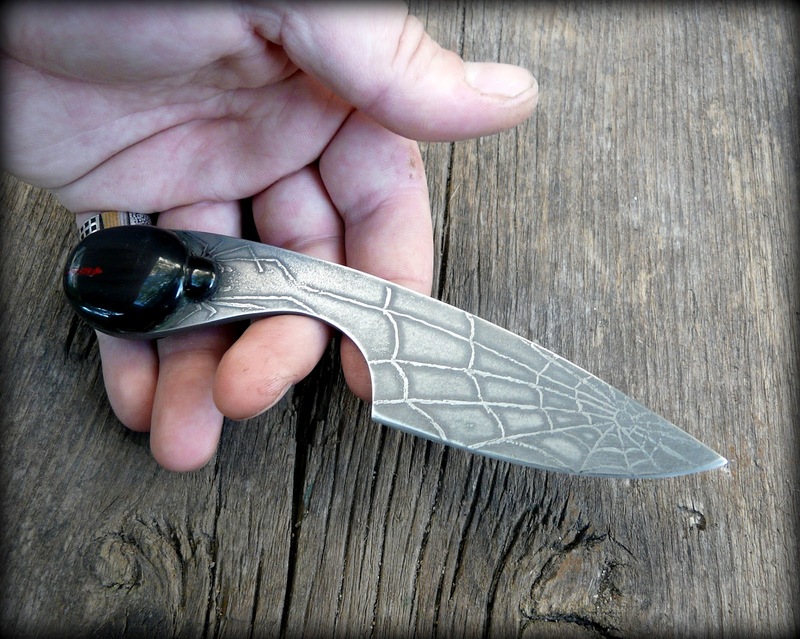 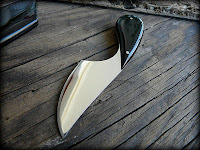 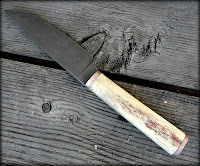 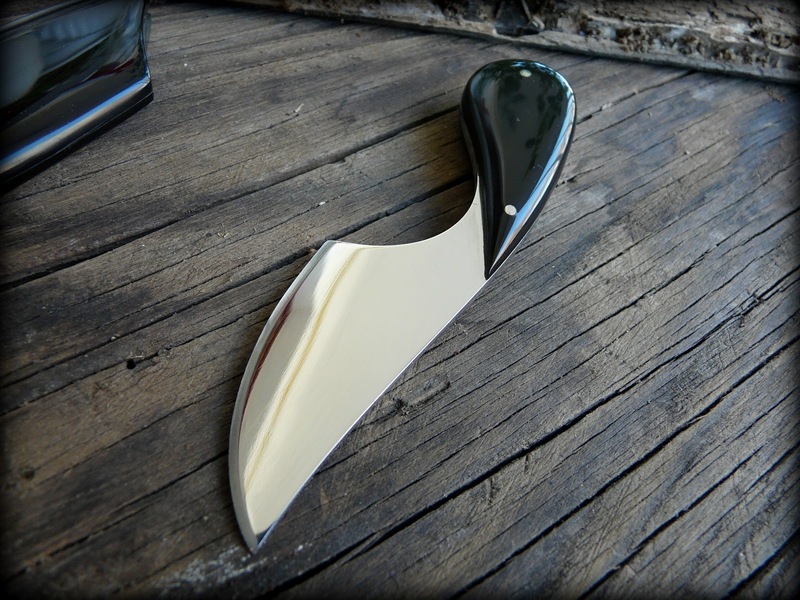 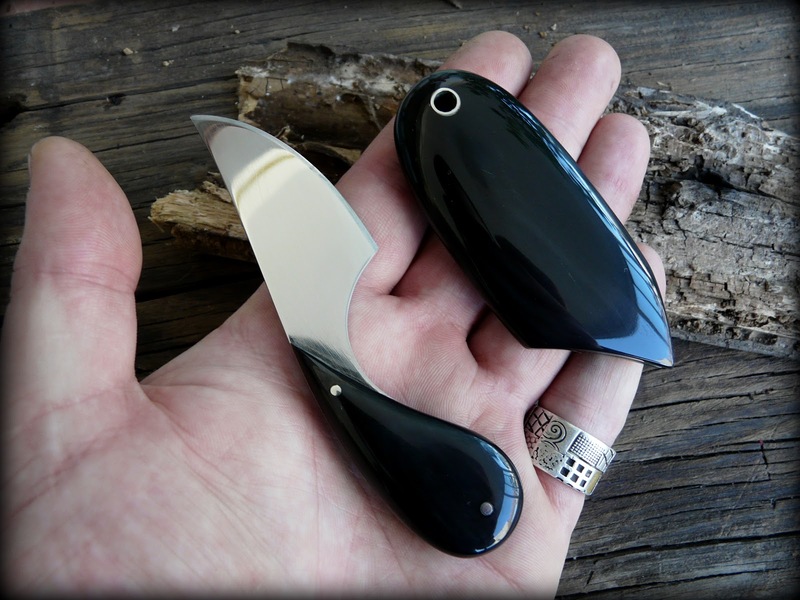 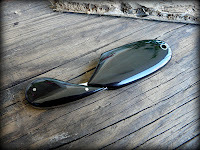 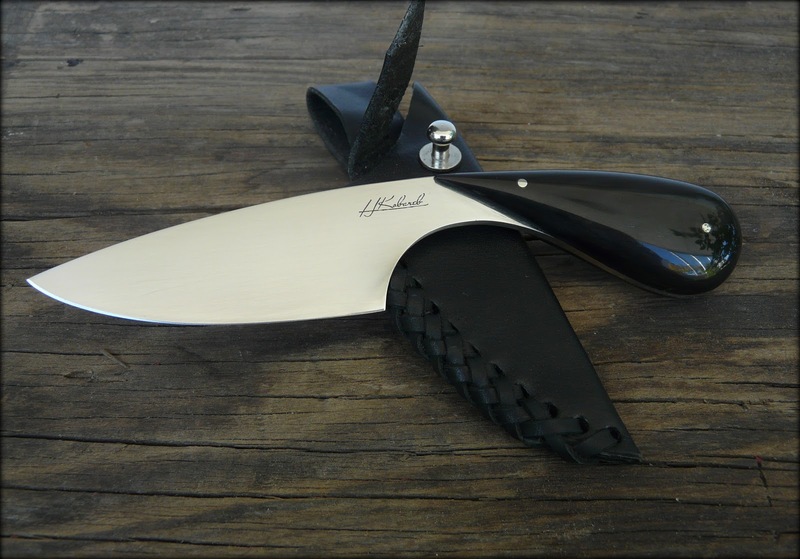 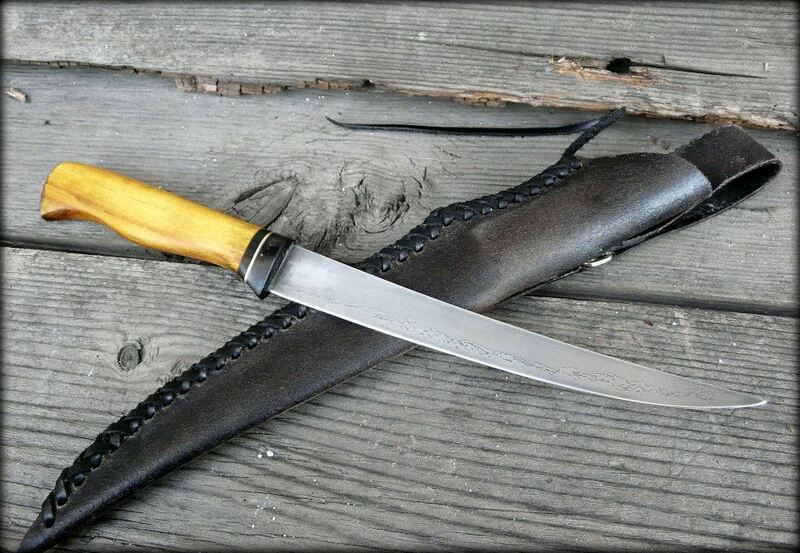 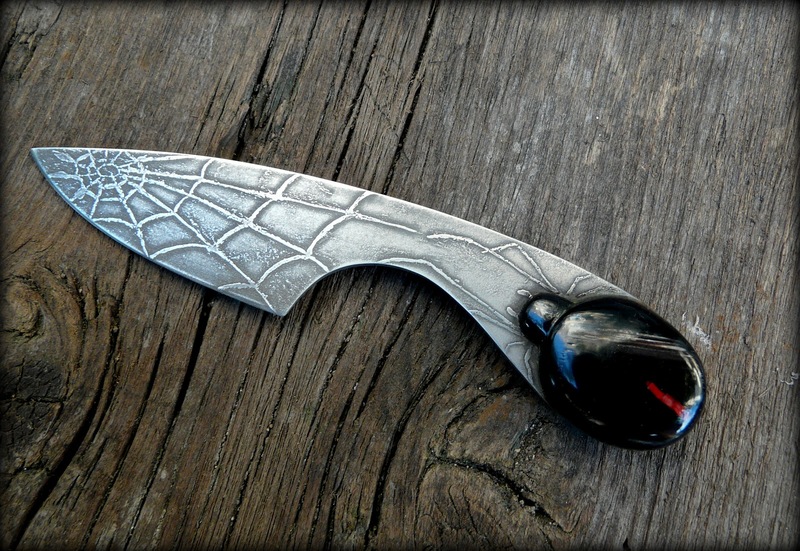 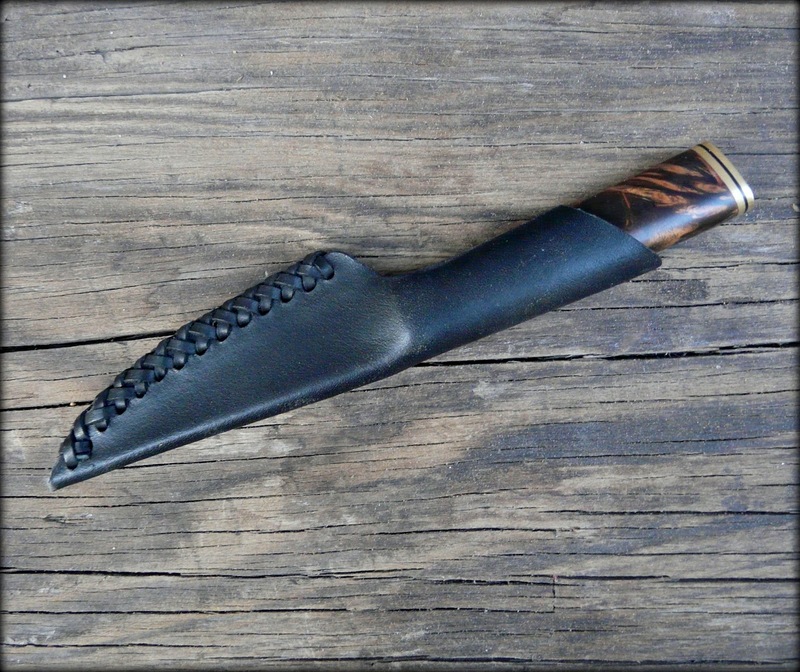 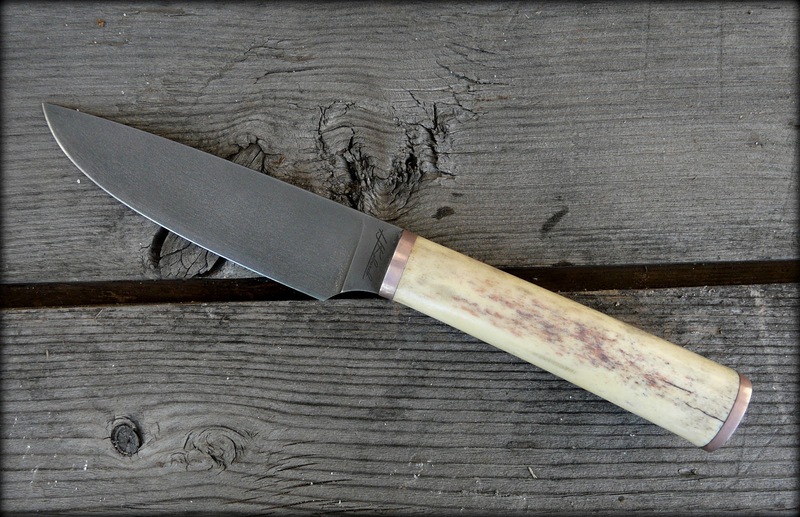 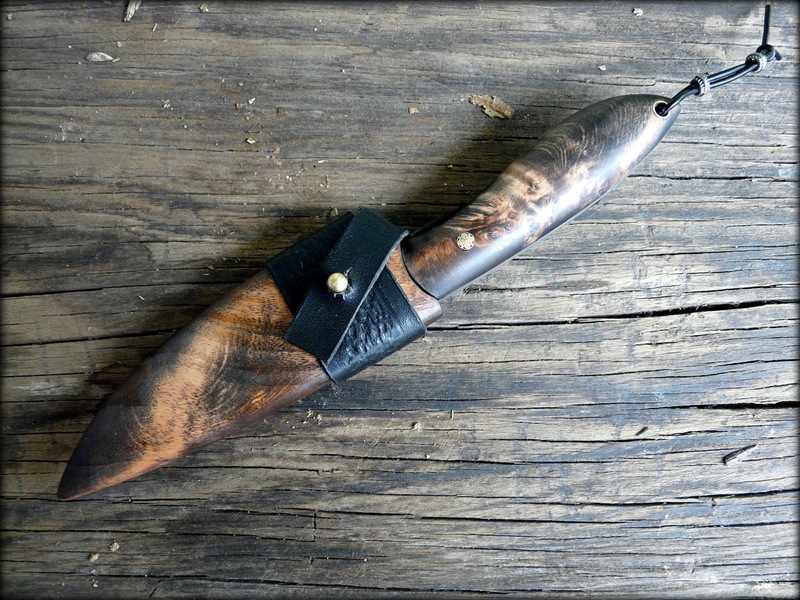 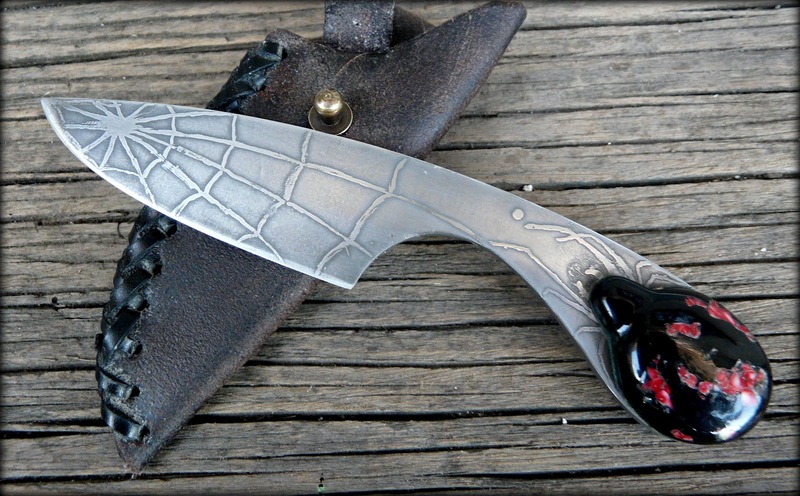 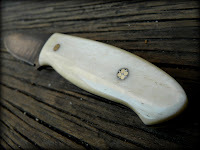 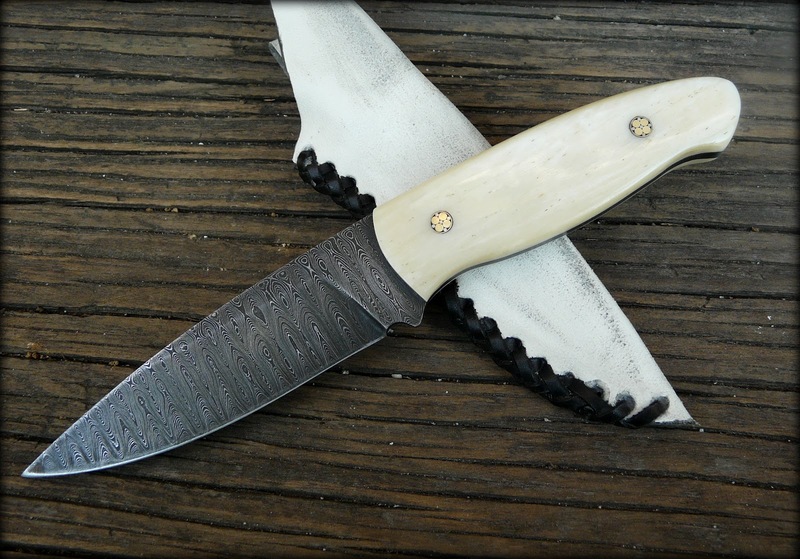 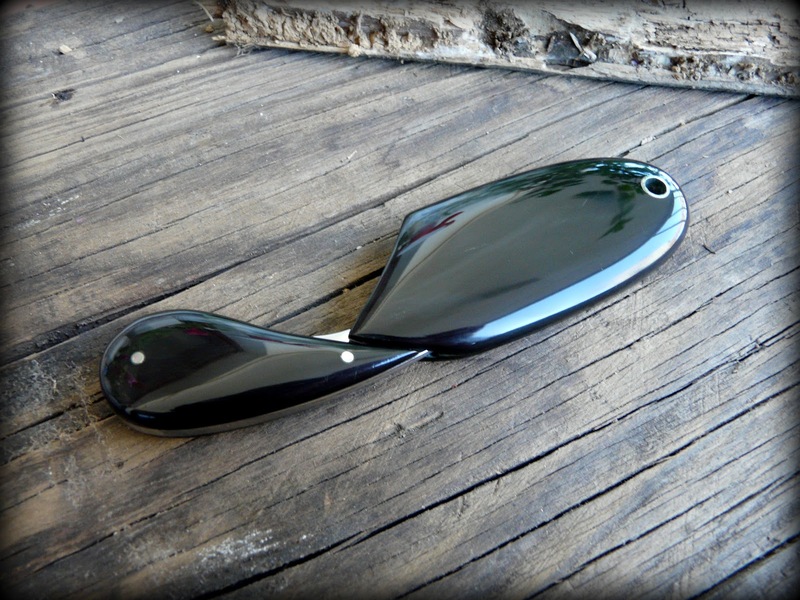 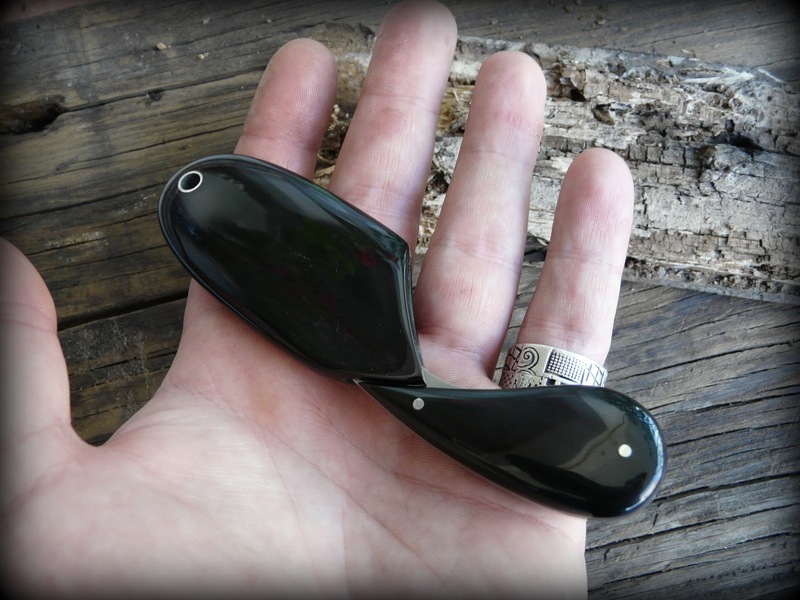 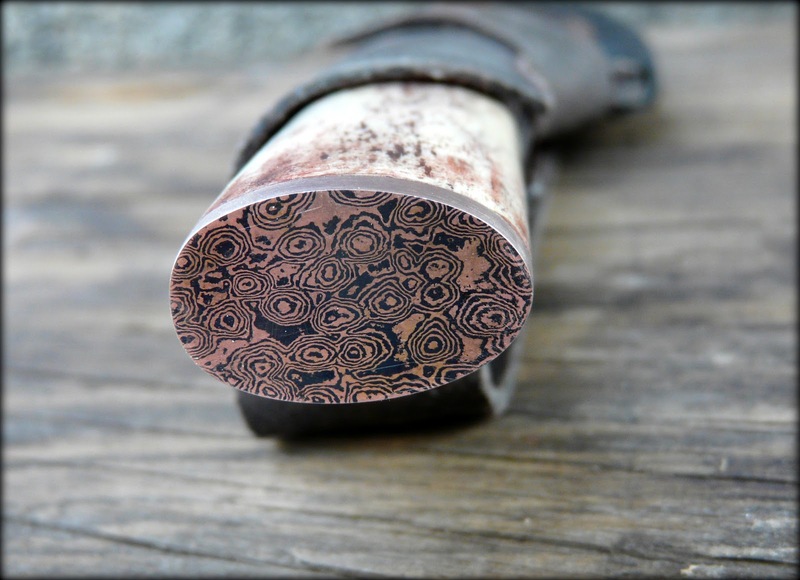 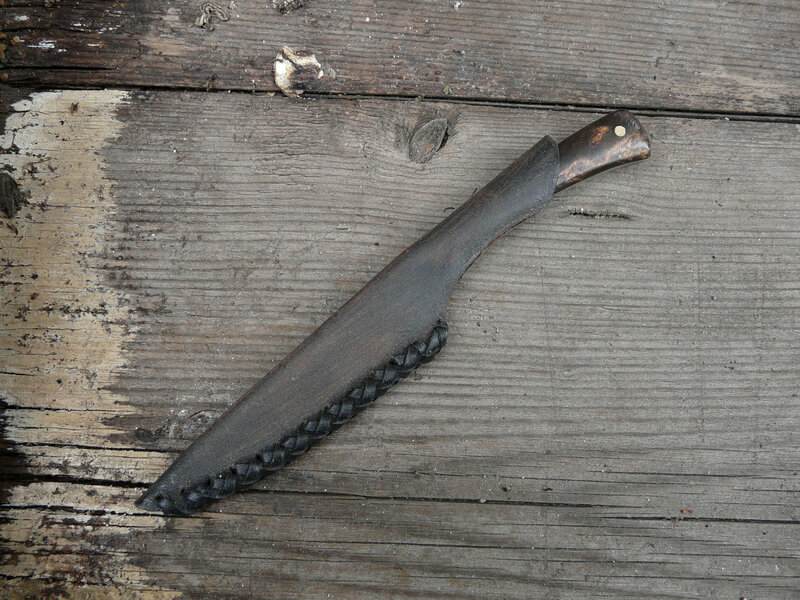 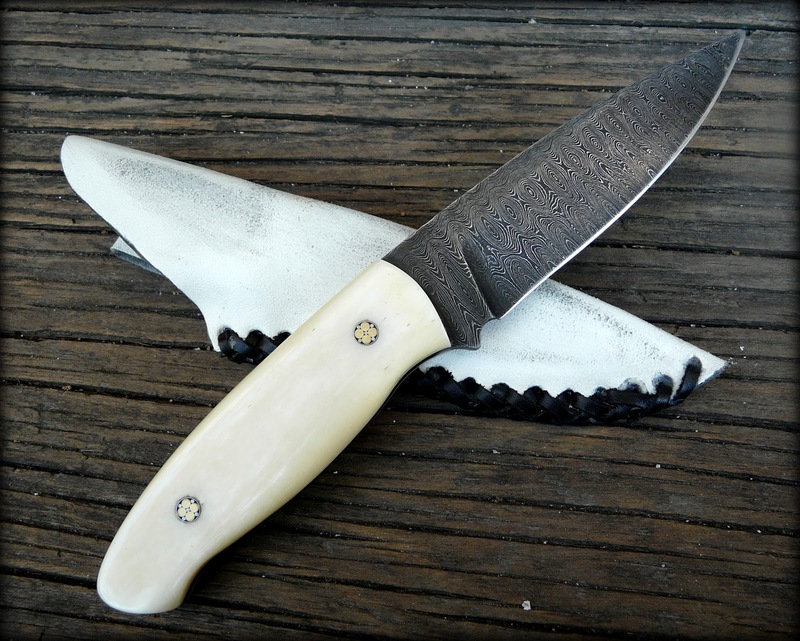 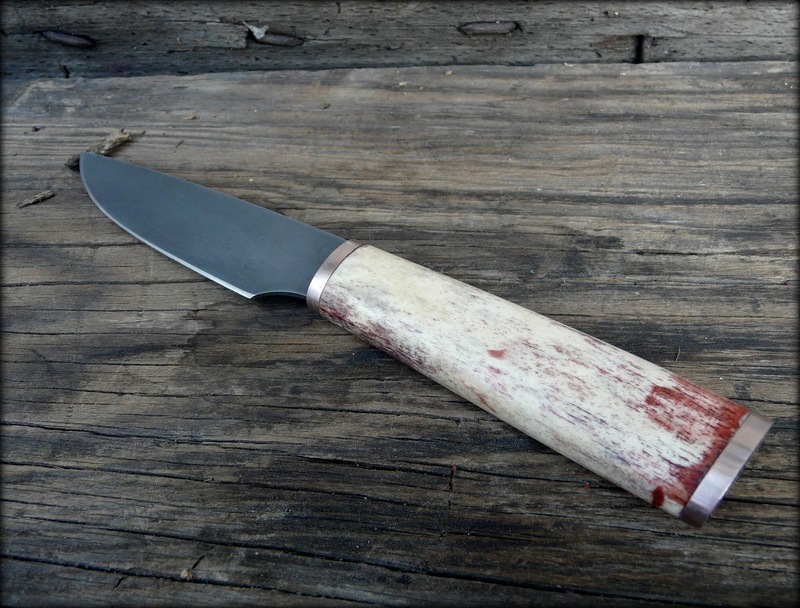 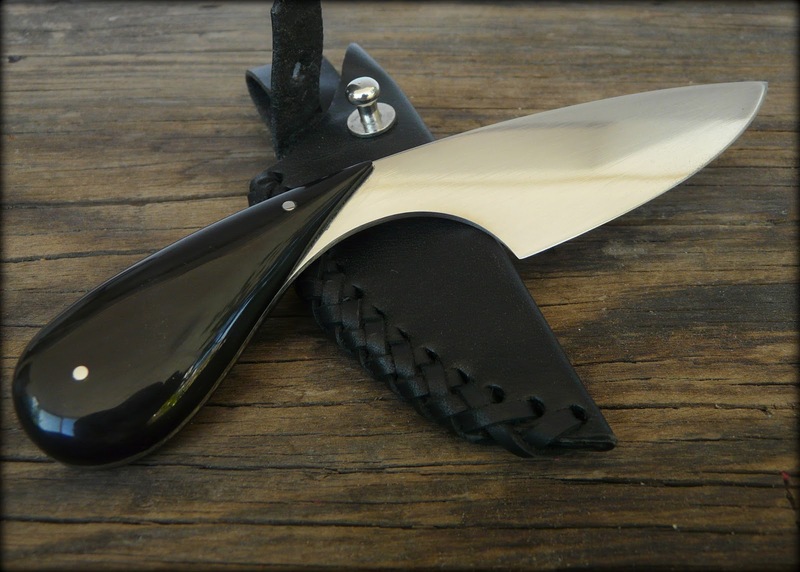 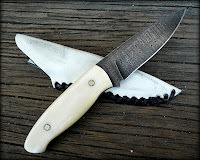 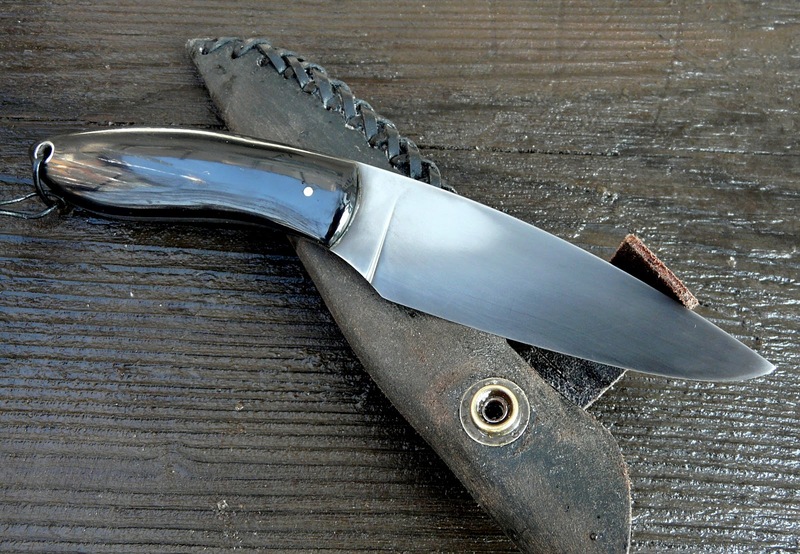 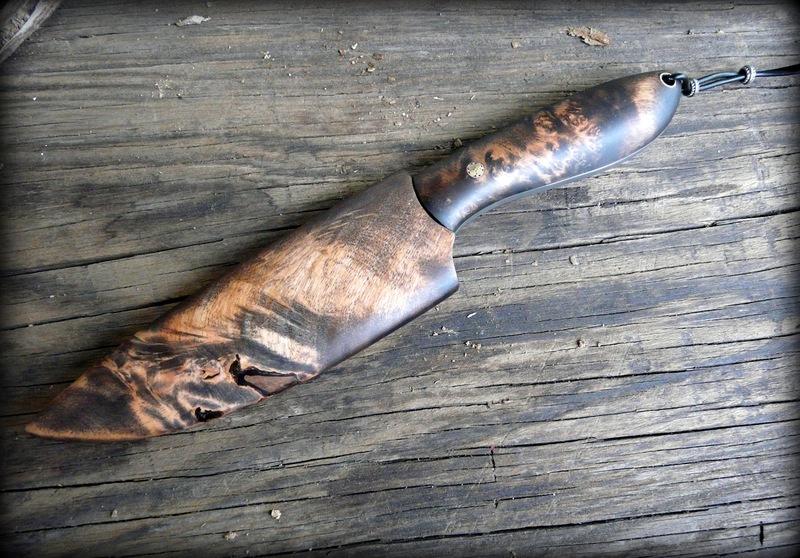 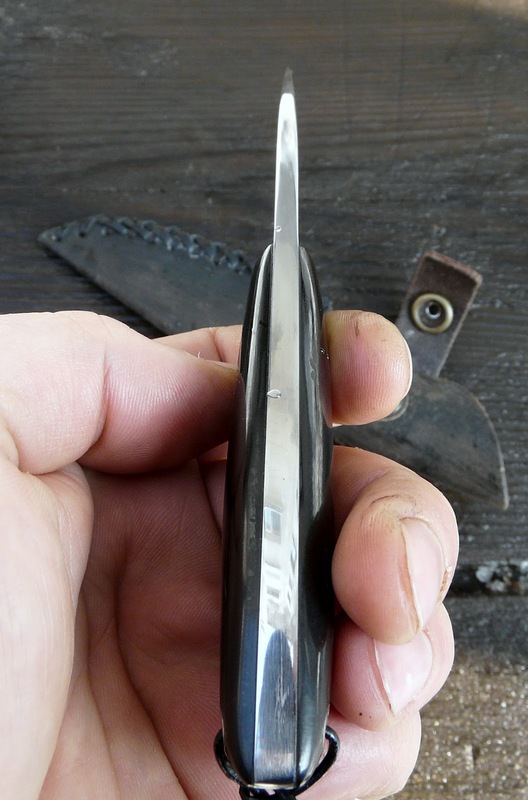 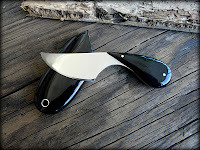 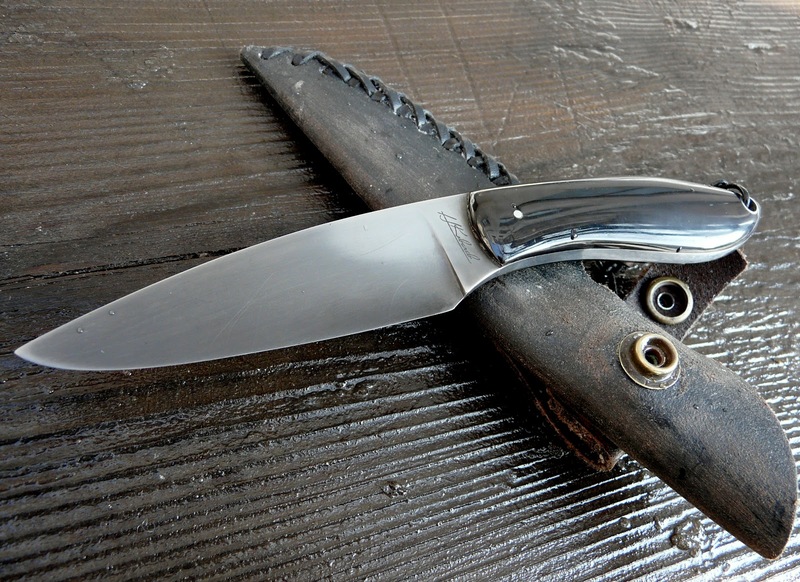 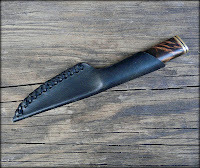 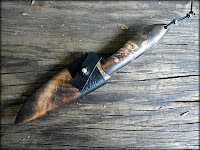 Water buffalo horn for the scales and the sheath. 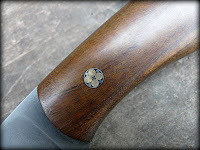 Built-In magnetic closure. 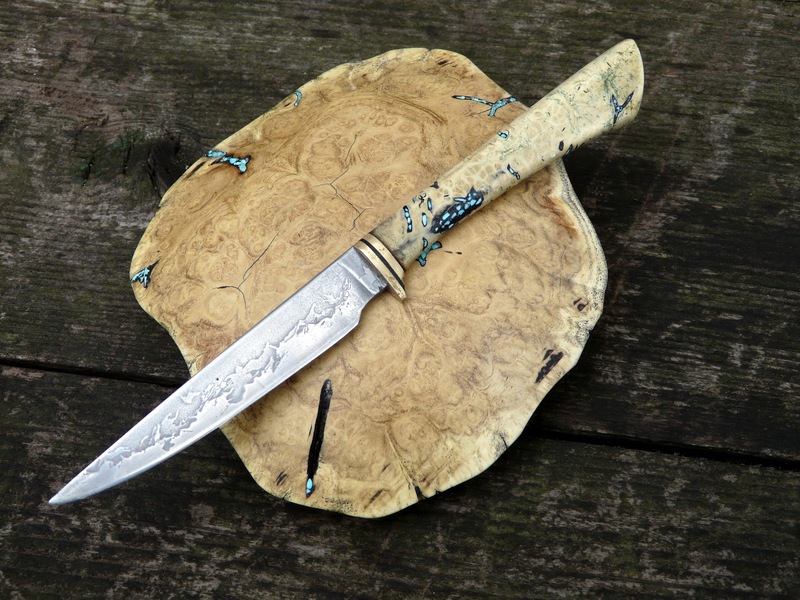 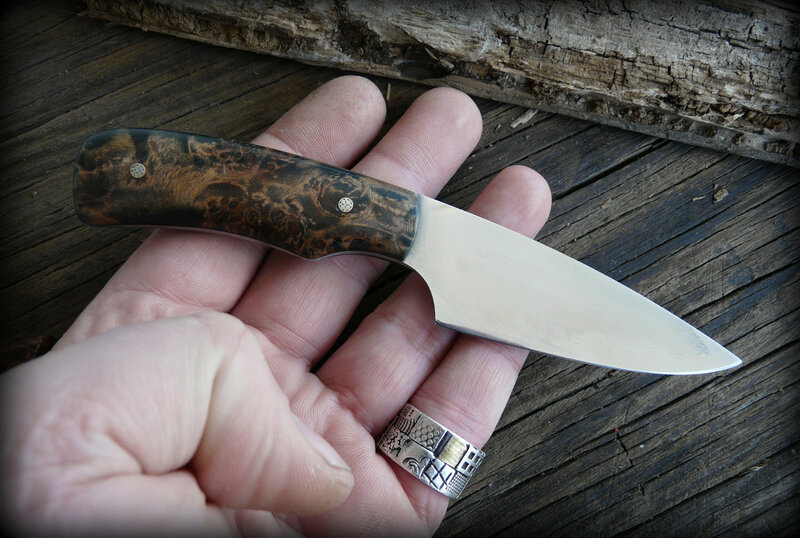 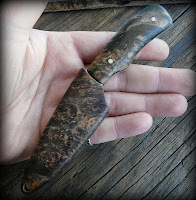 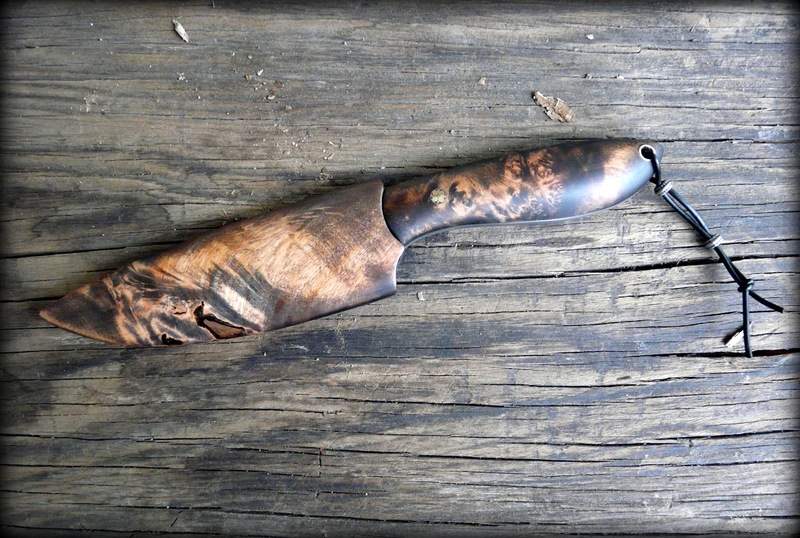 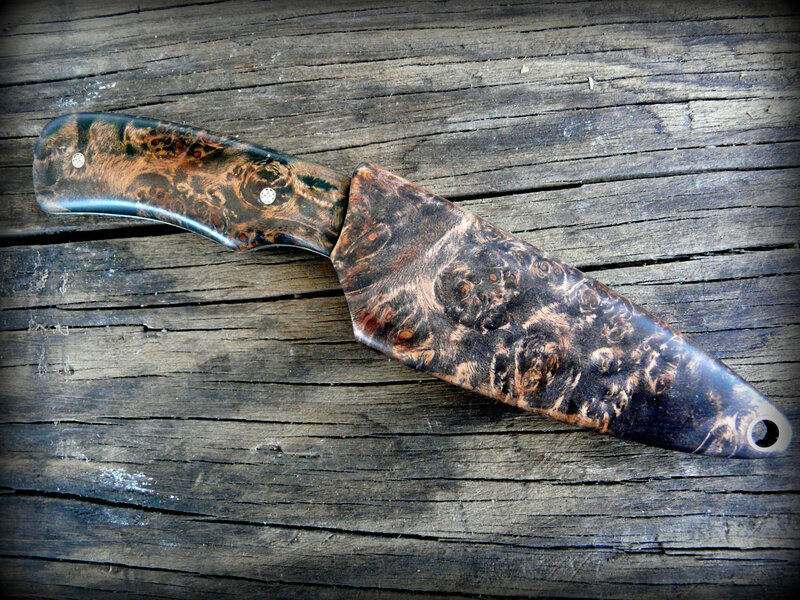 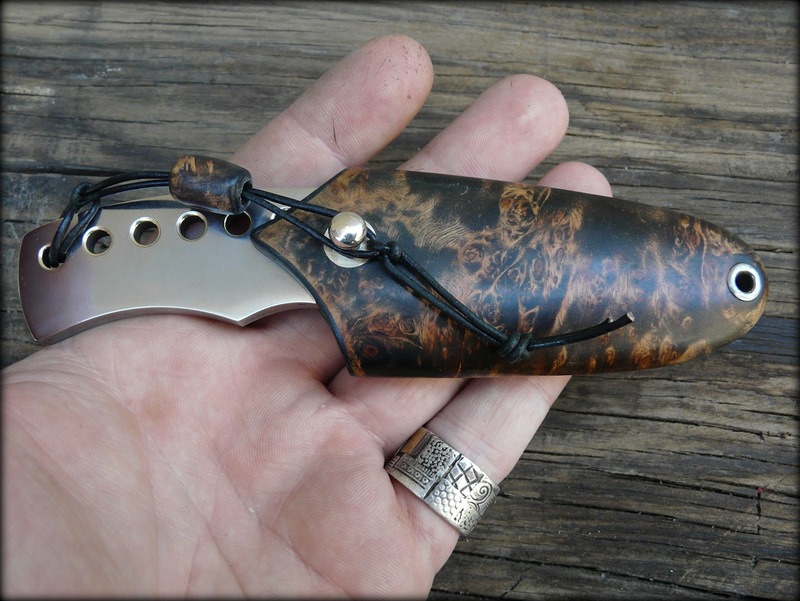 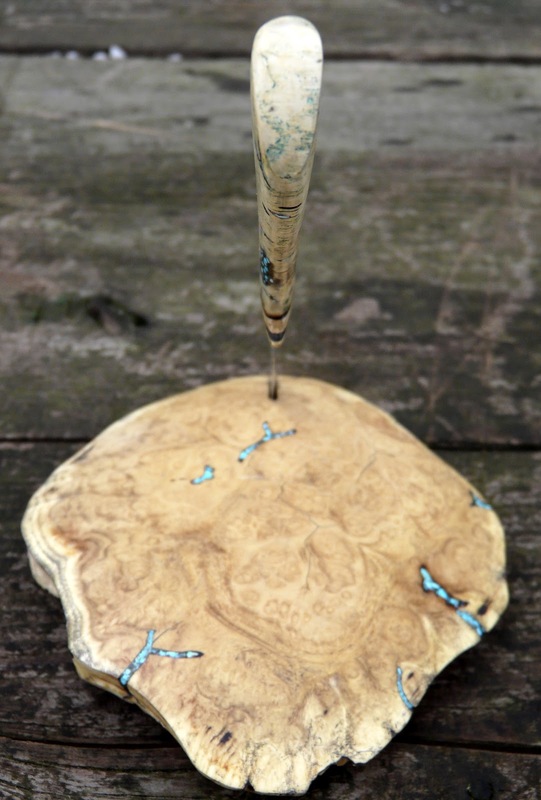 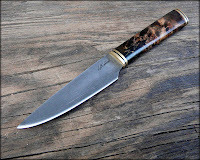 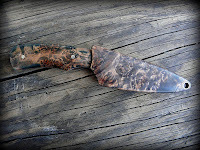 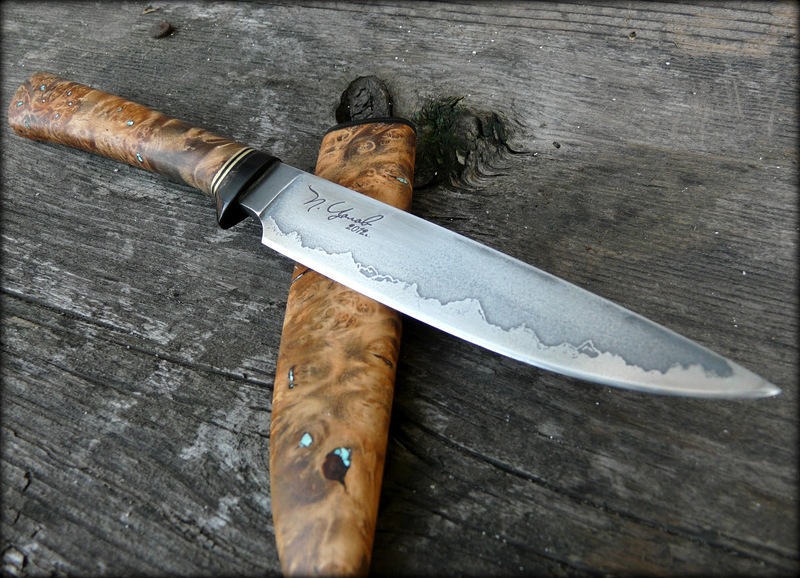 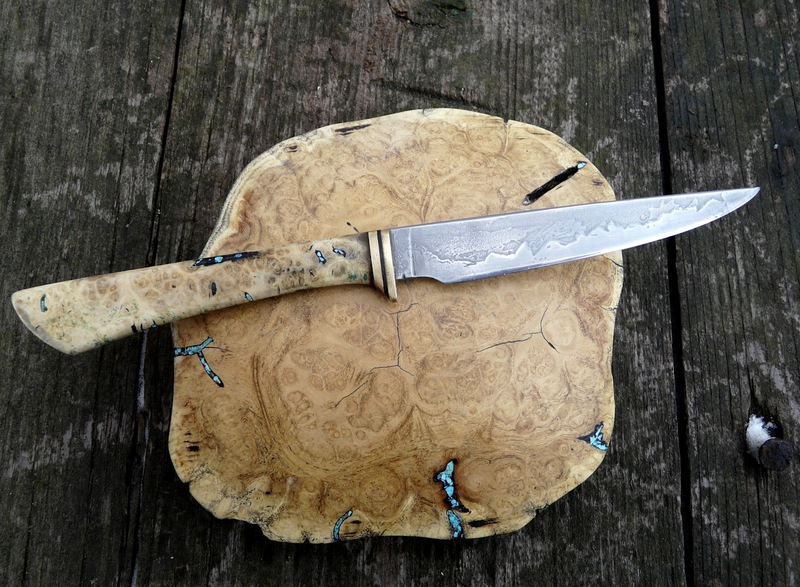 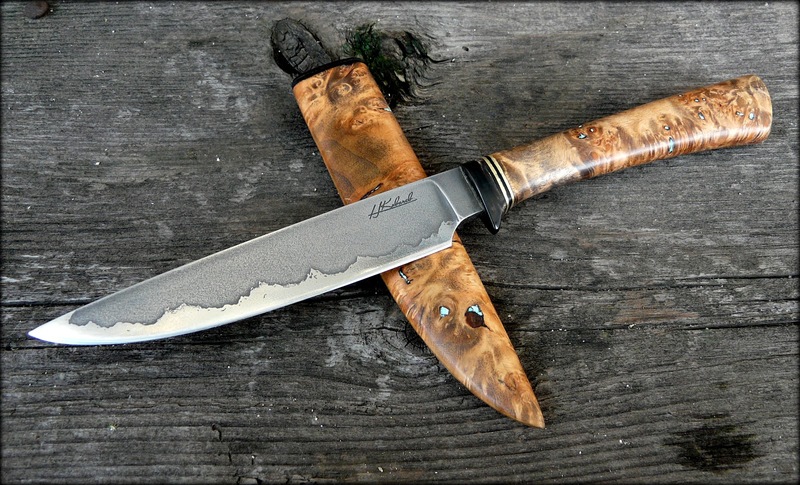 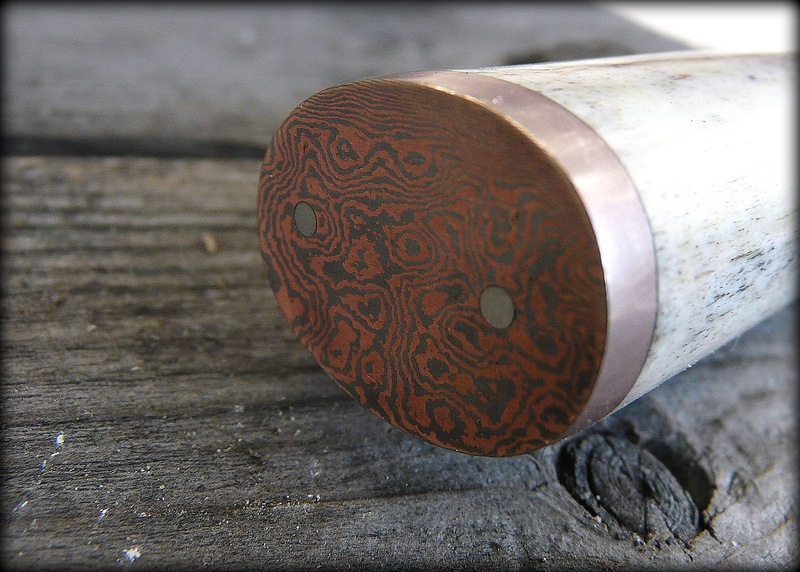 Buffalo horn, alder burl, brass and turquoise inlay. 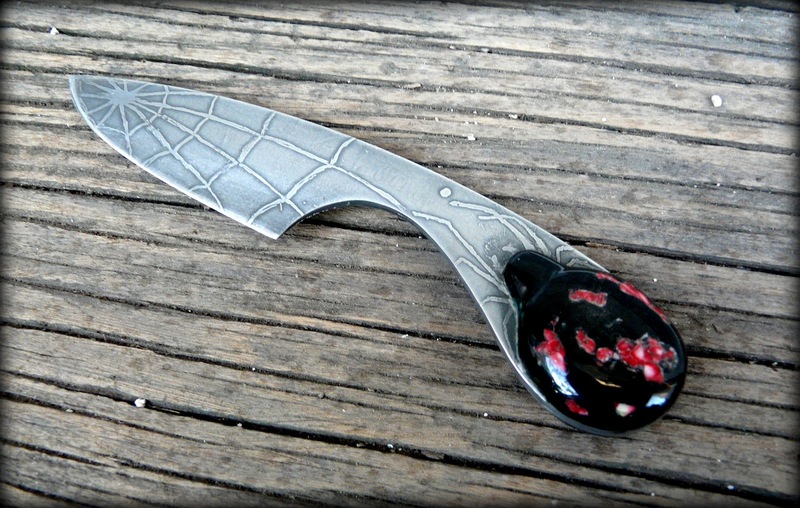 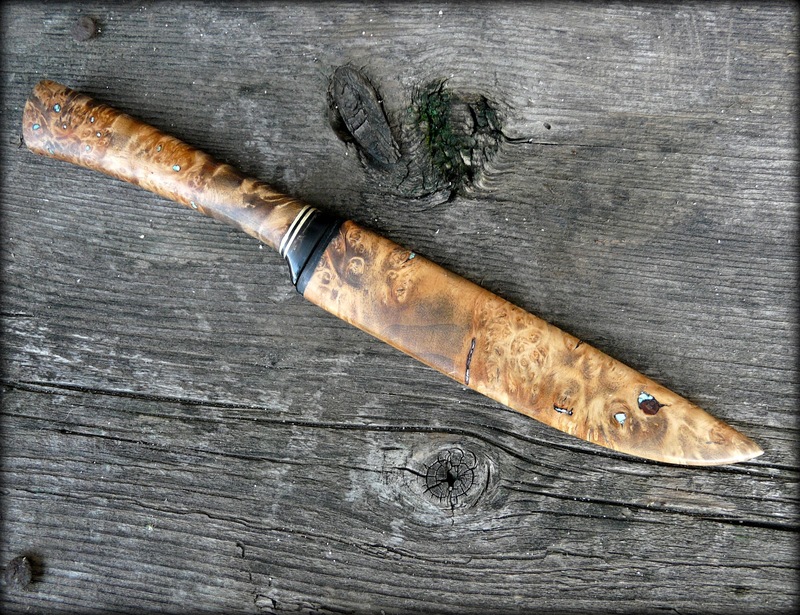 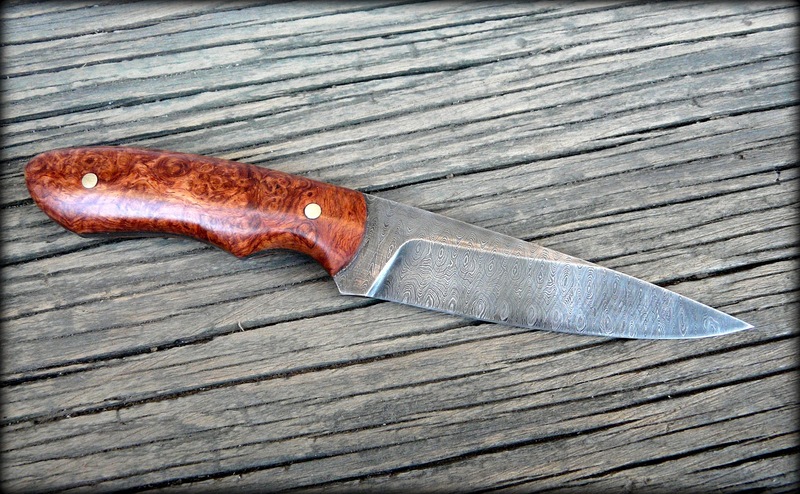 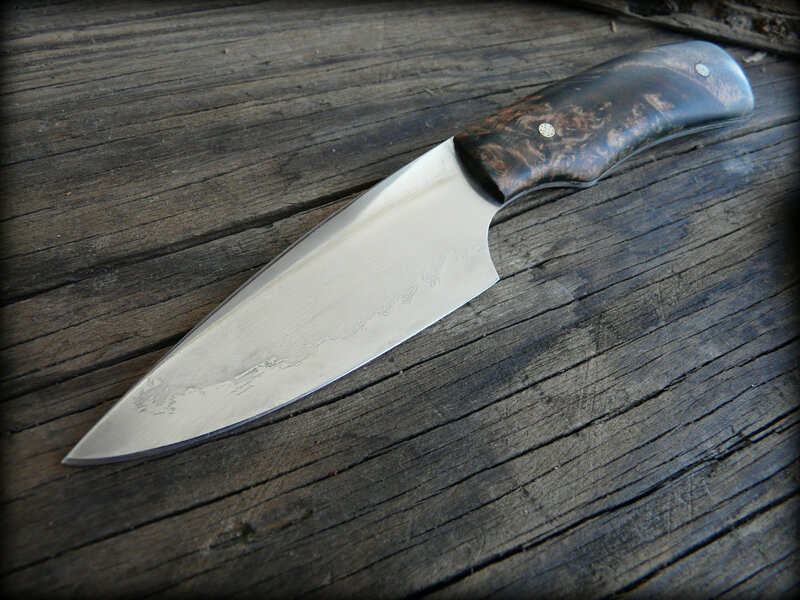 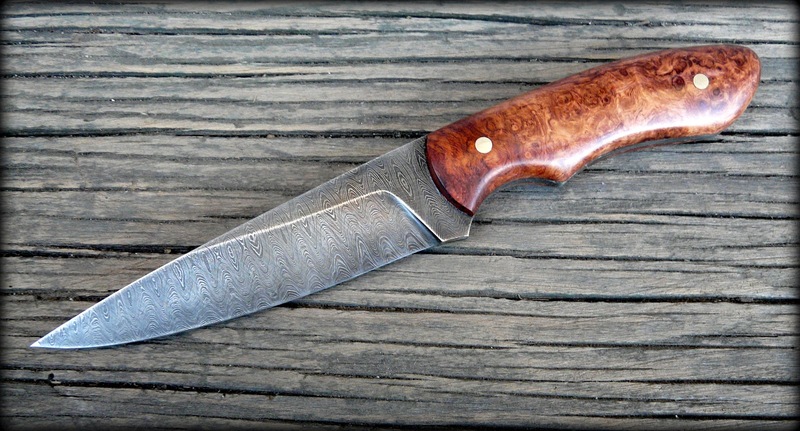 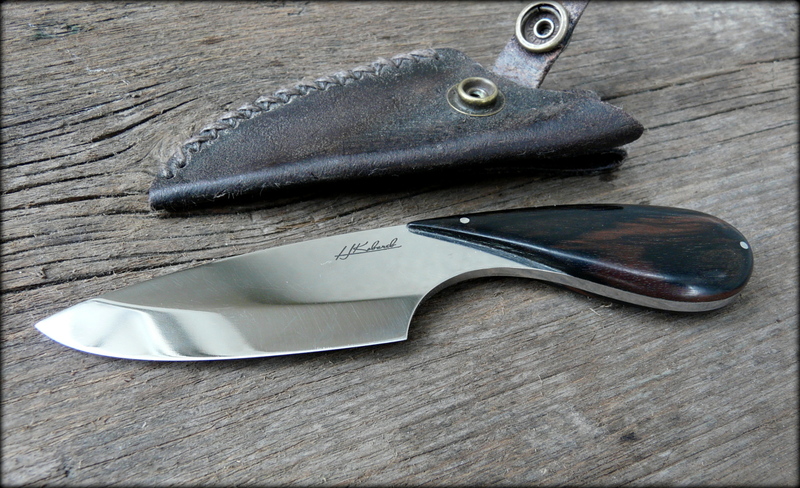 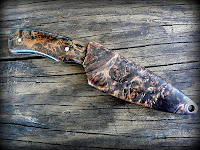 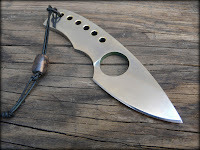 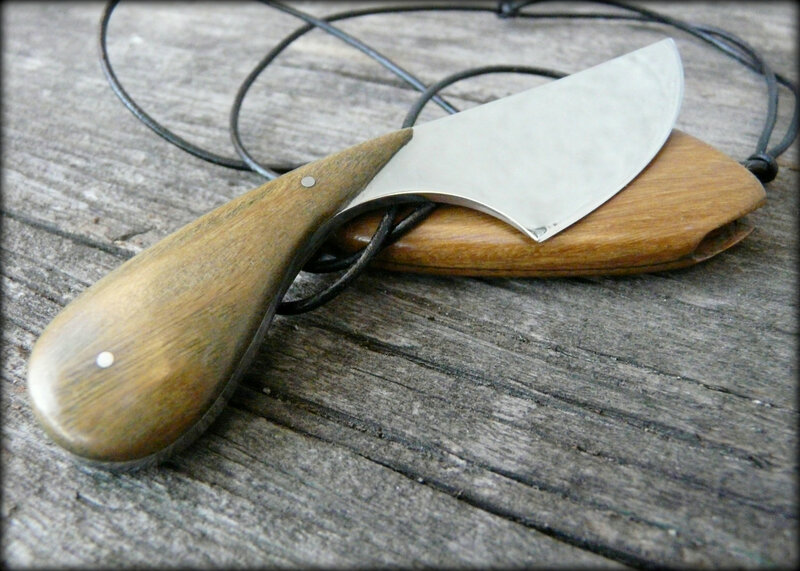 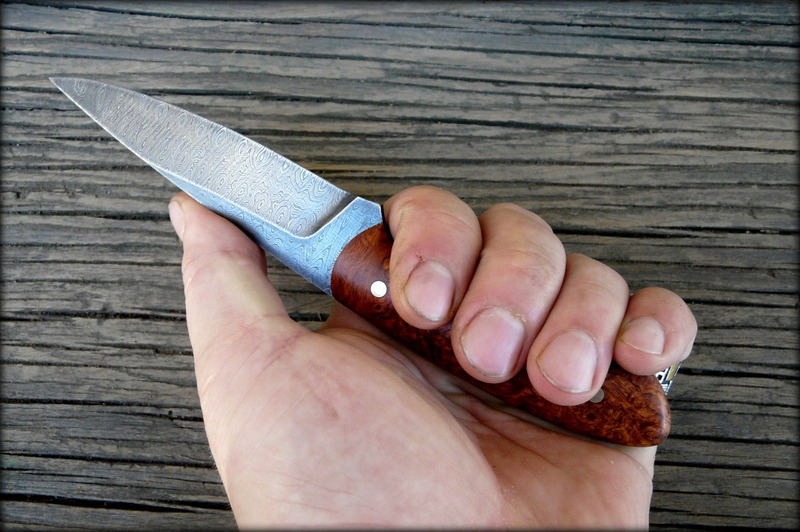 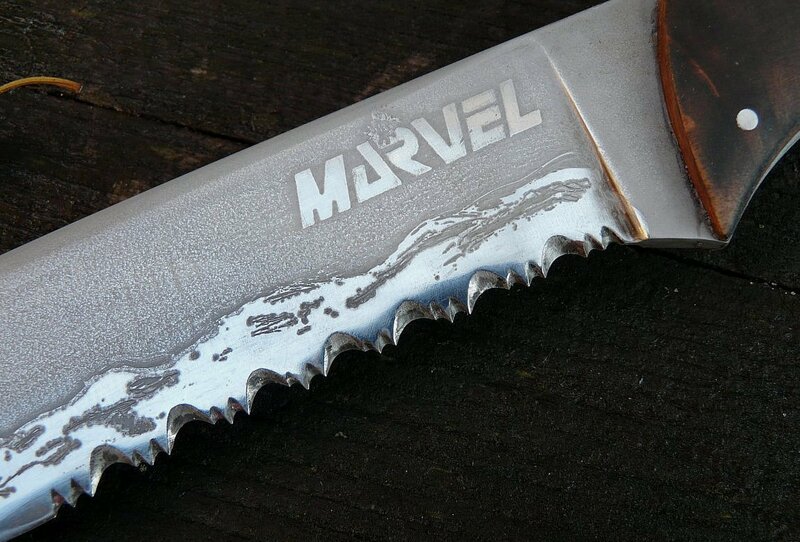 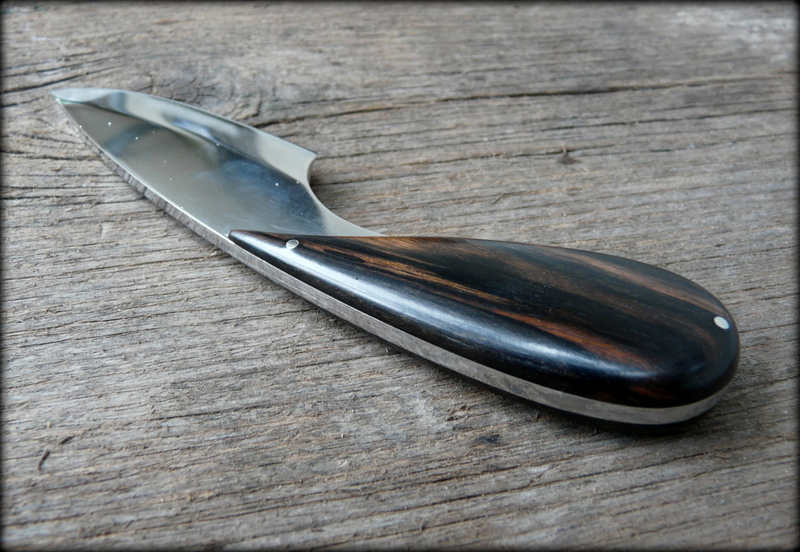 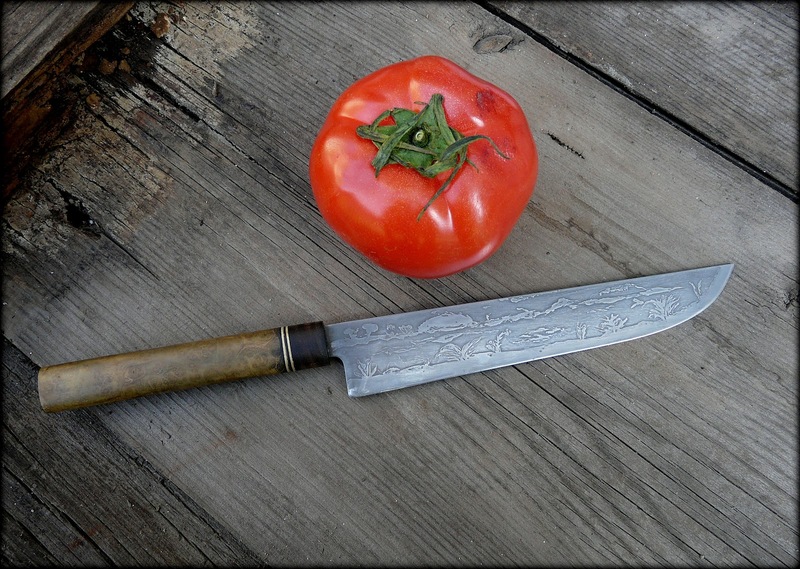 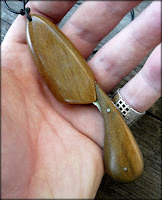 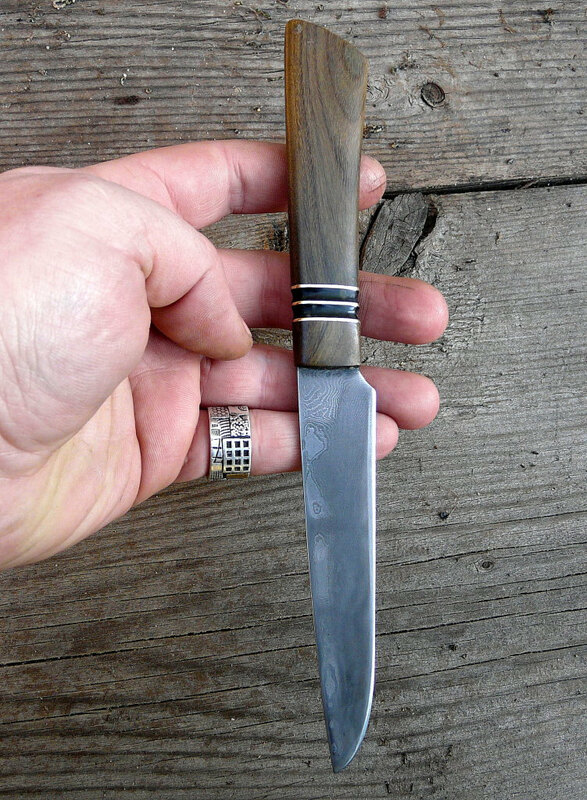 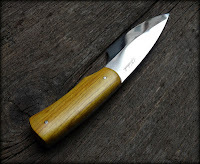 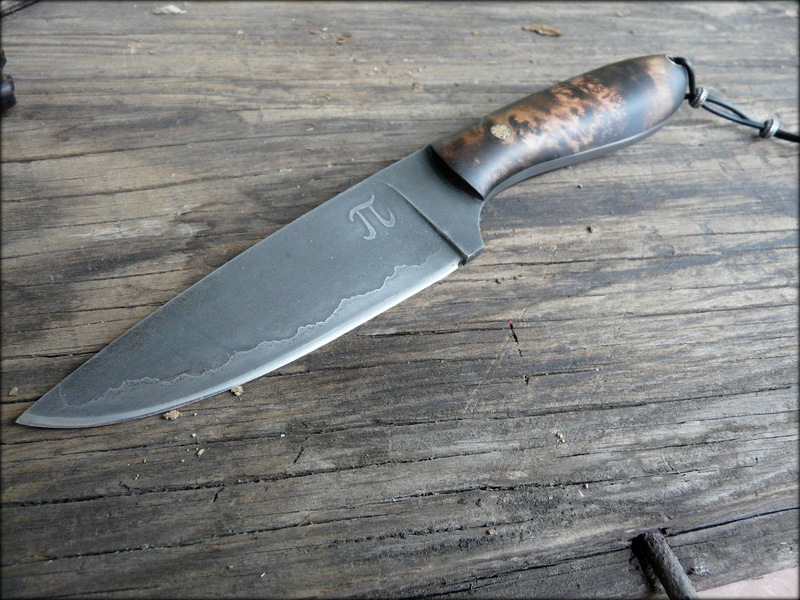 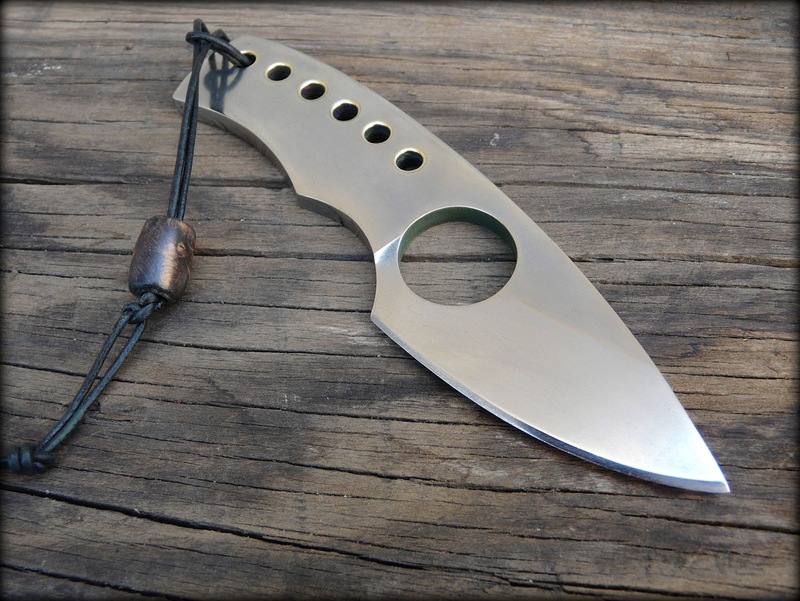 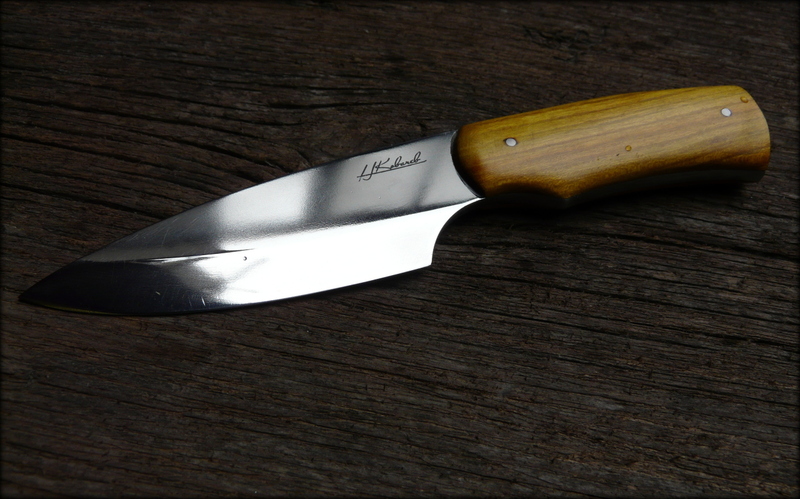 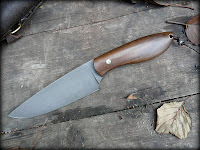 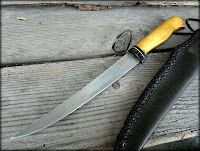 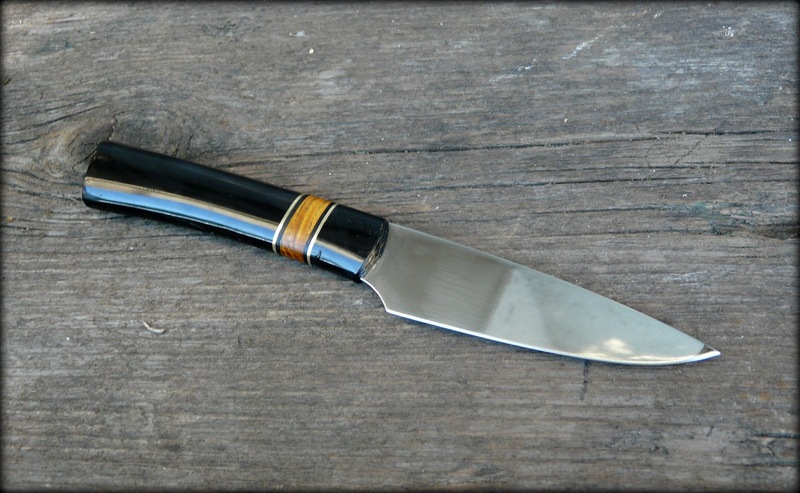 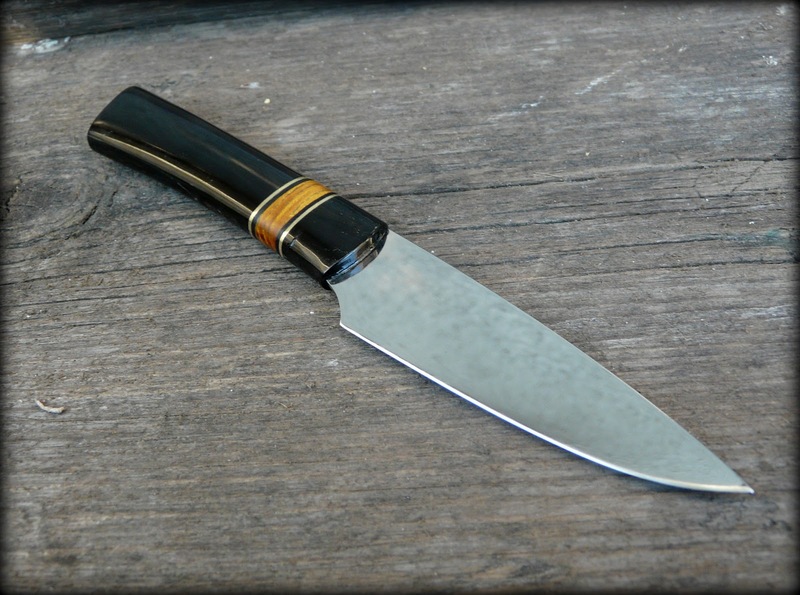 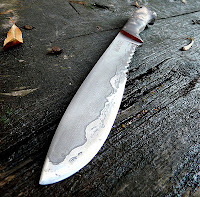 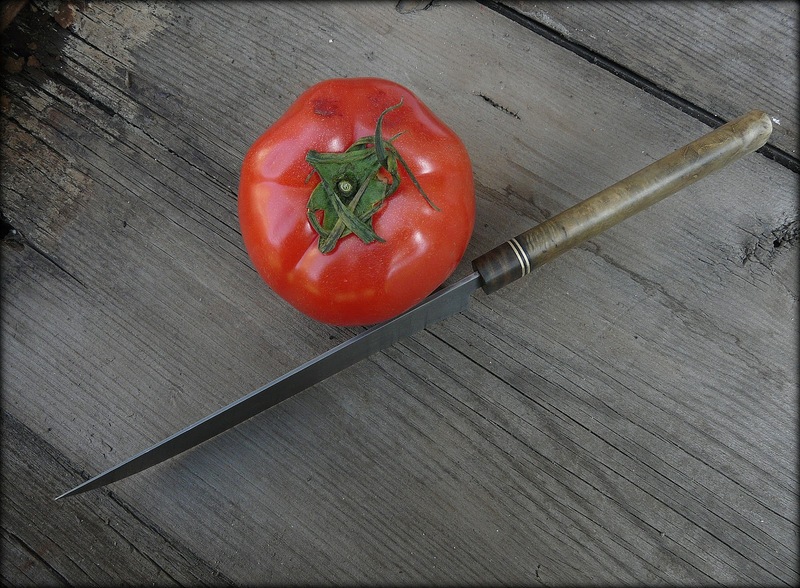 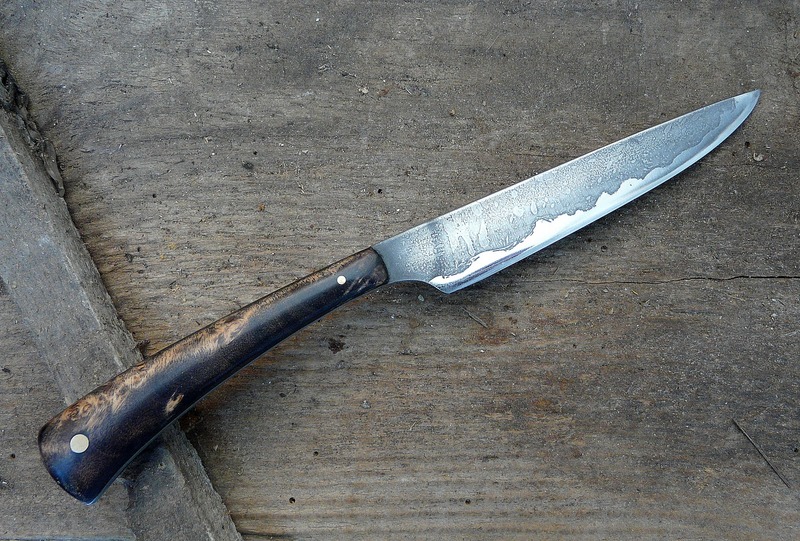 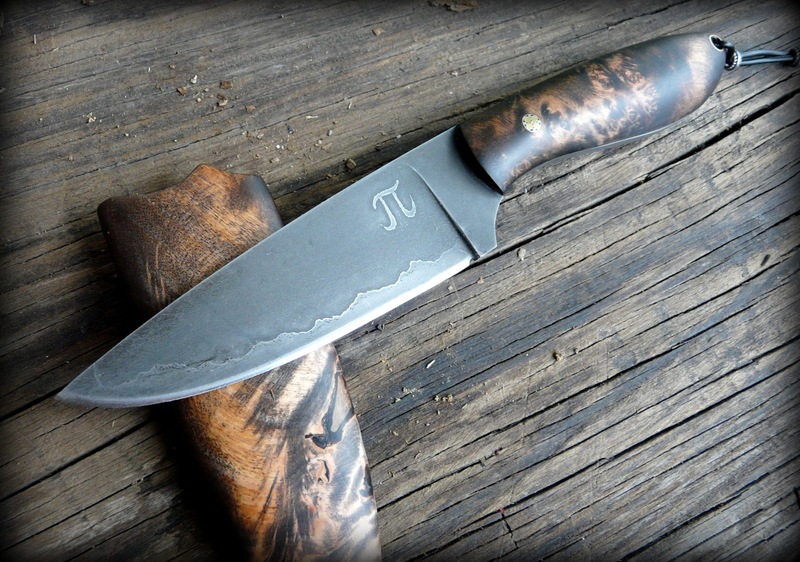 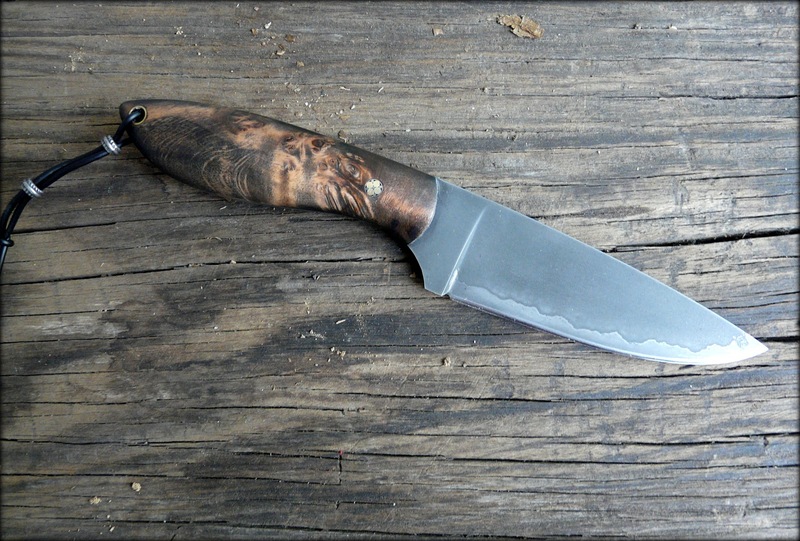 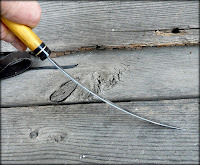 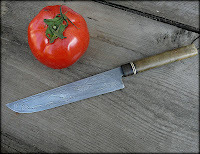 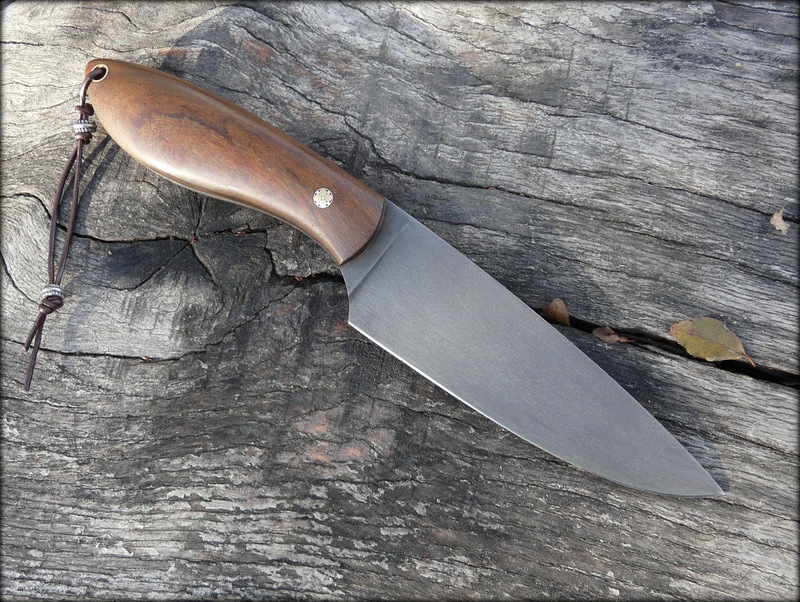 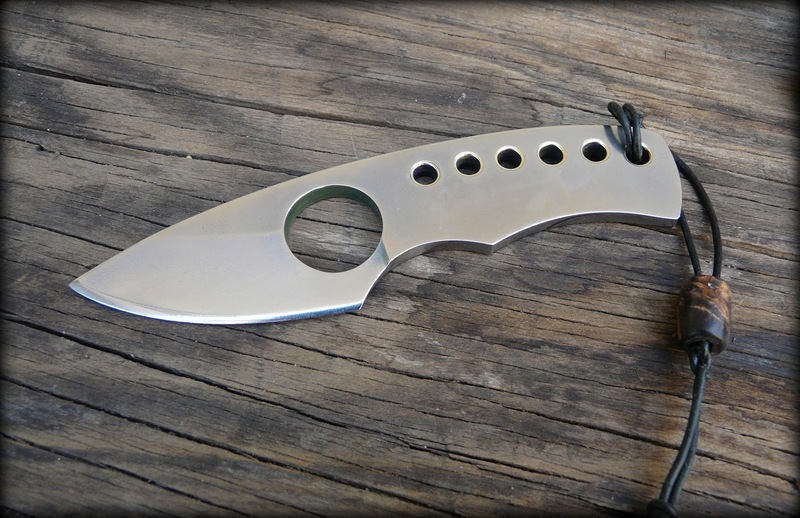 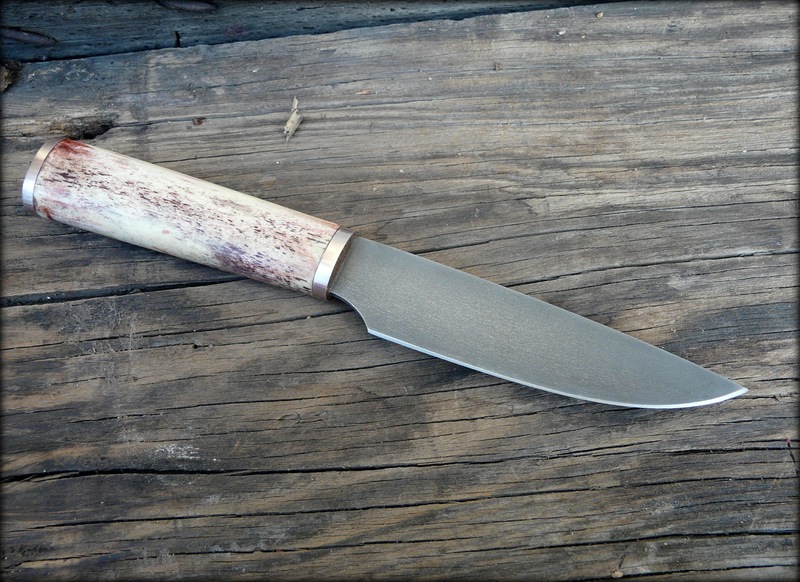 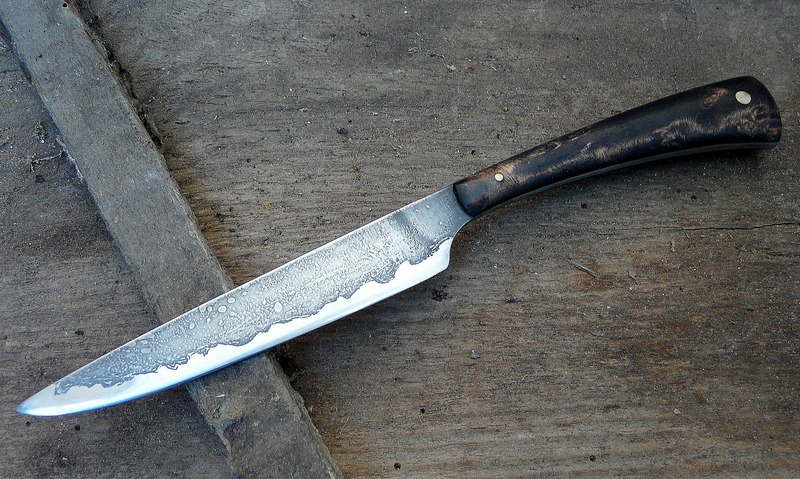 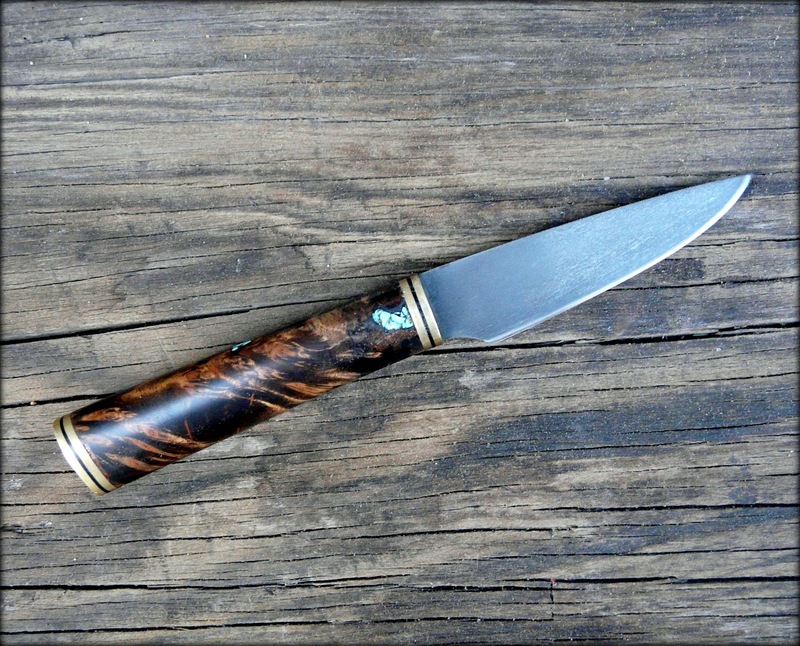 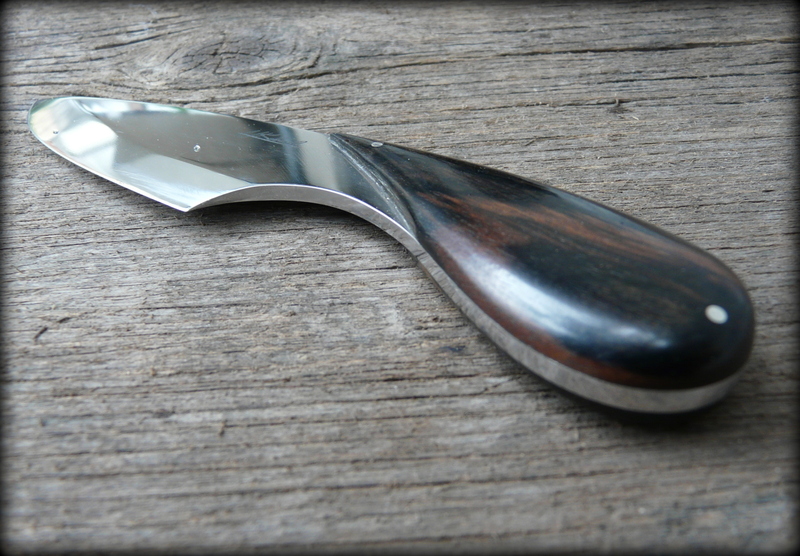 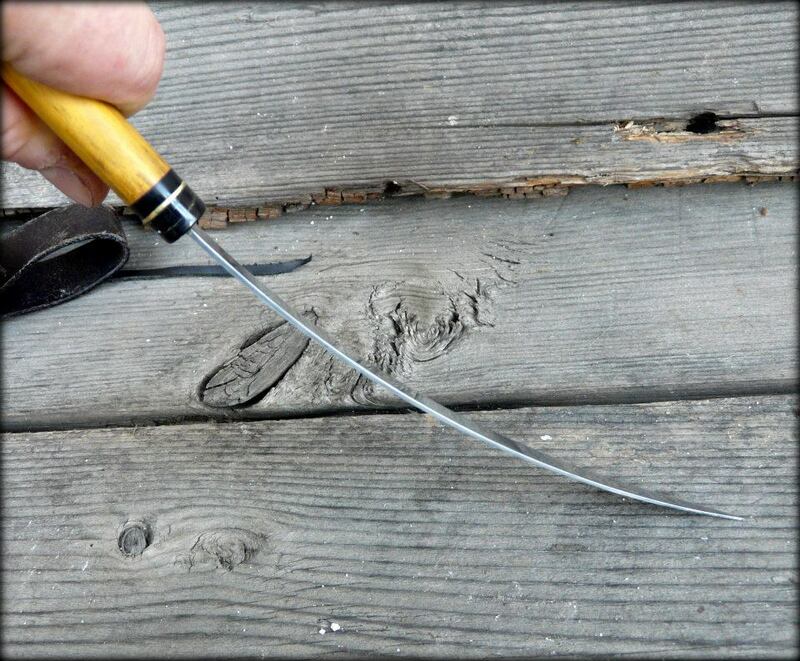 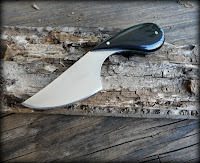 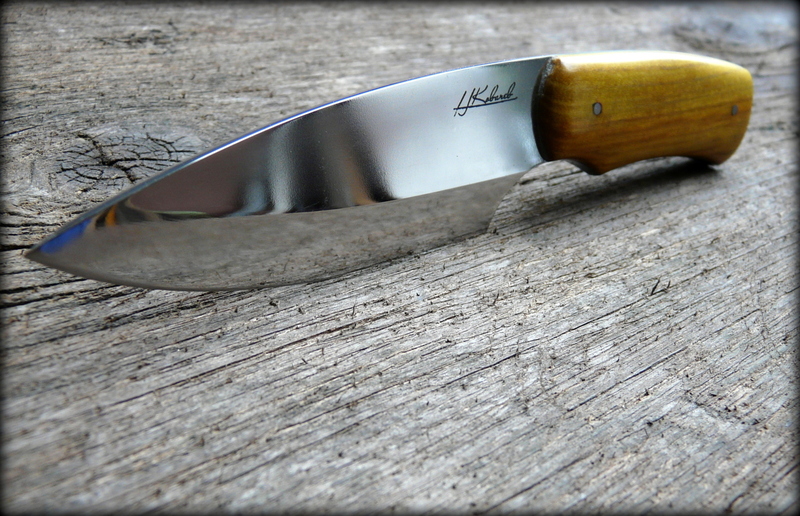 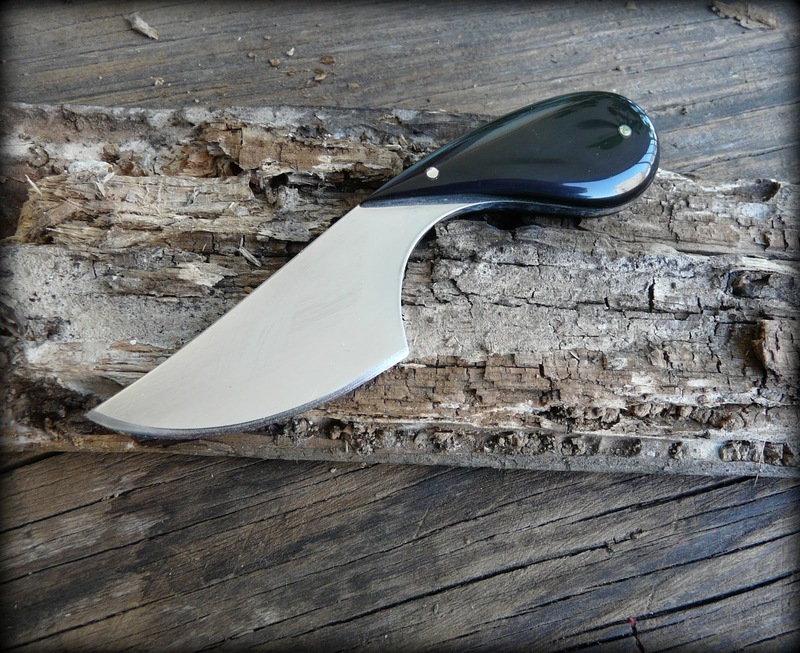 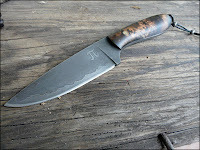 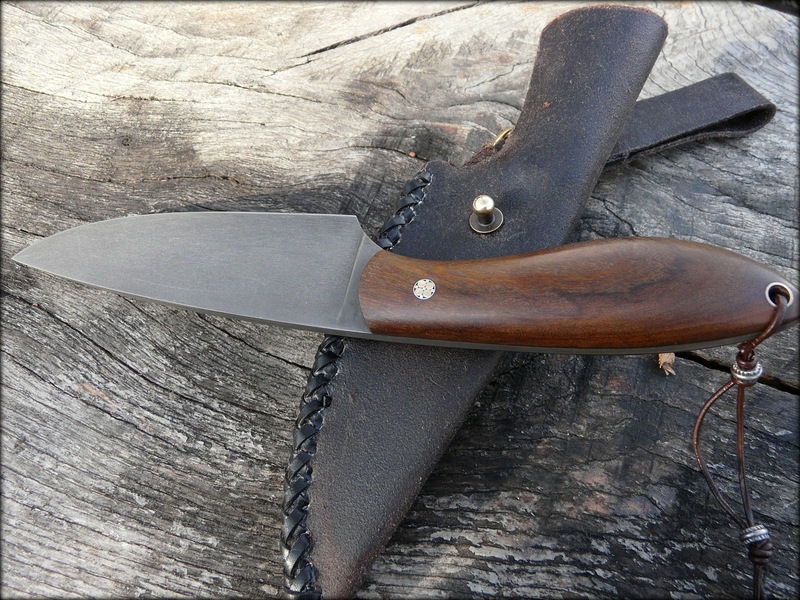 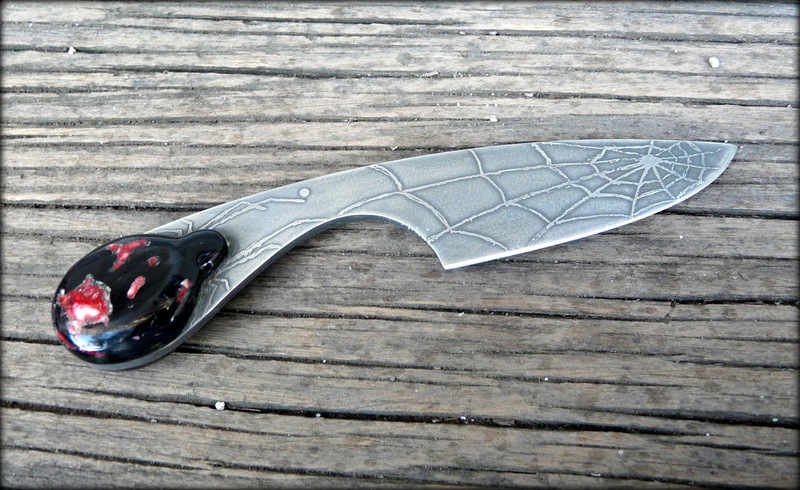 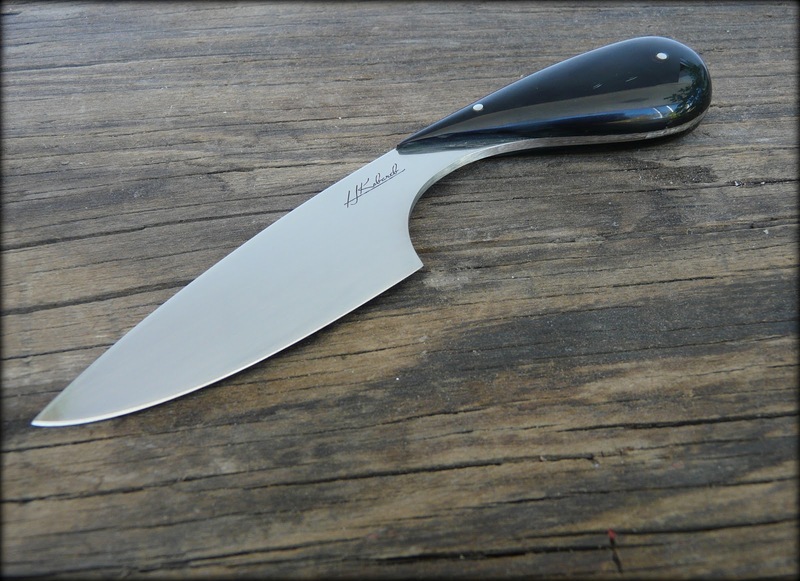 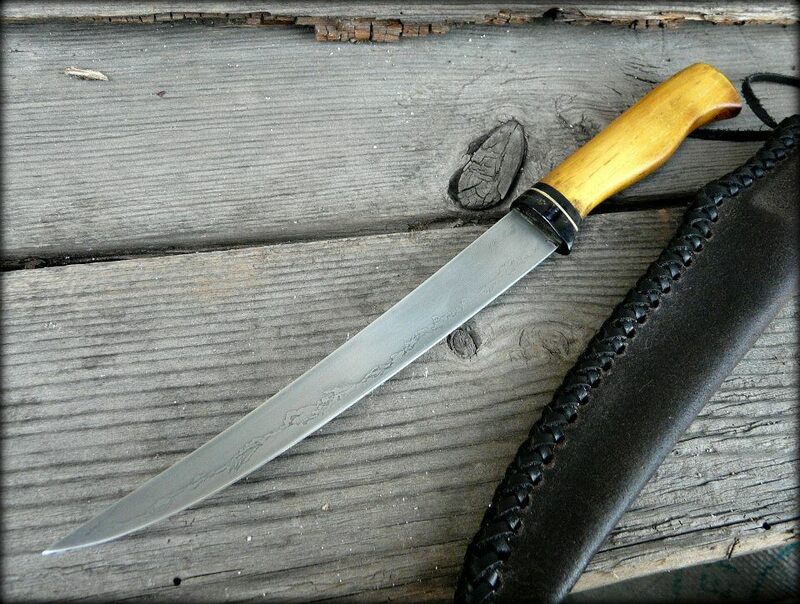 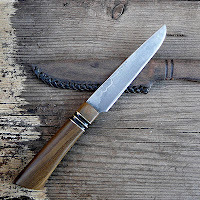 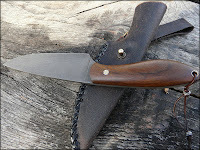 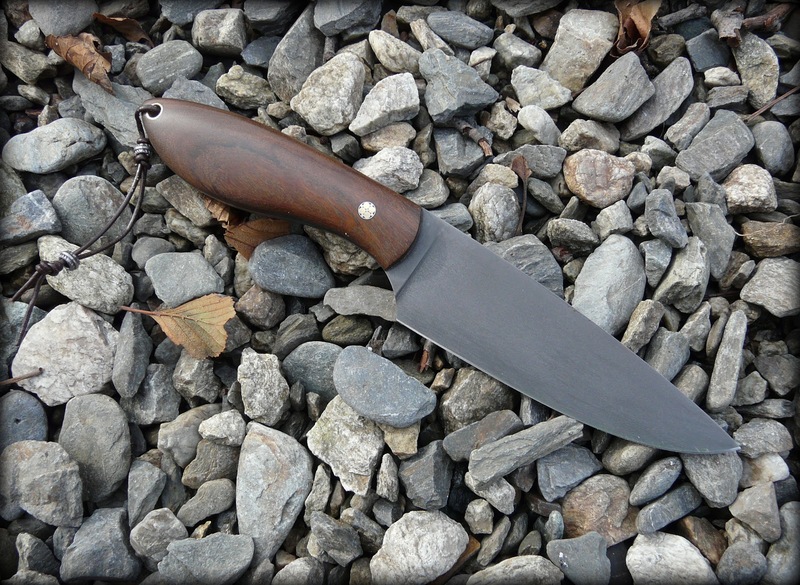 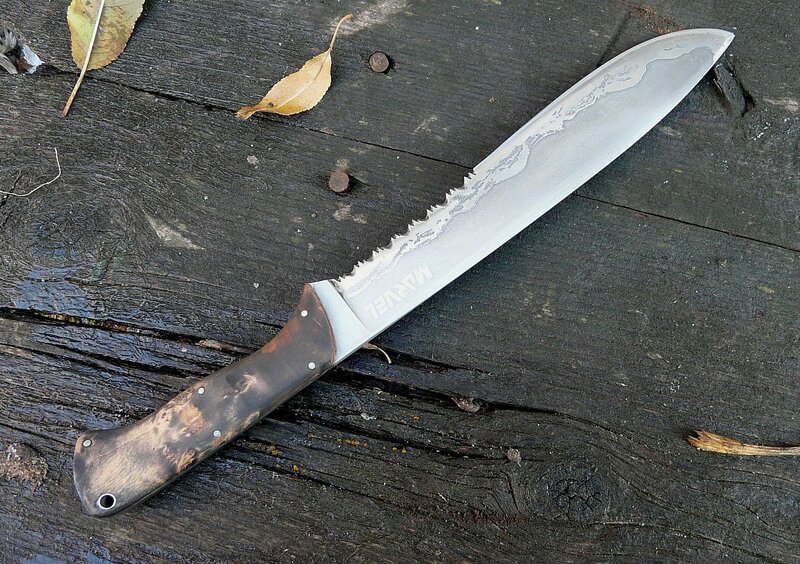 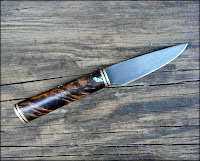 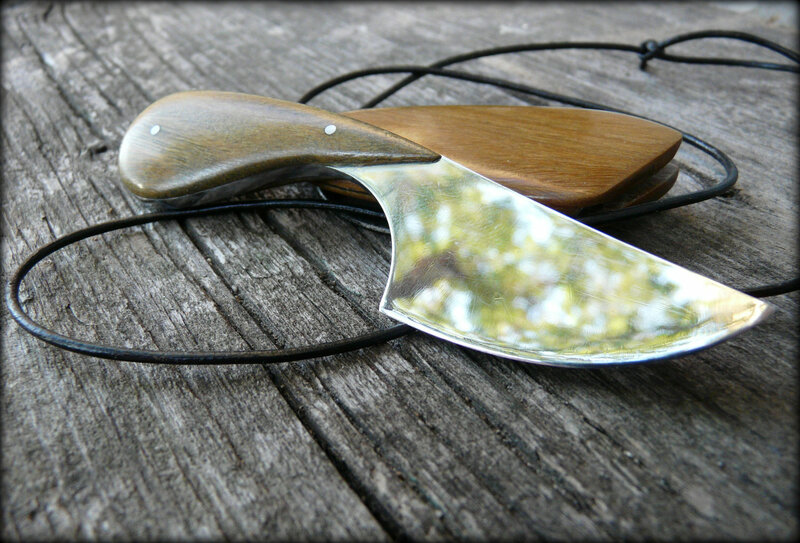 Neck-knife -AEB-L stainless steel and lignum vitae wood. 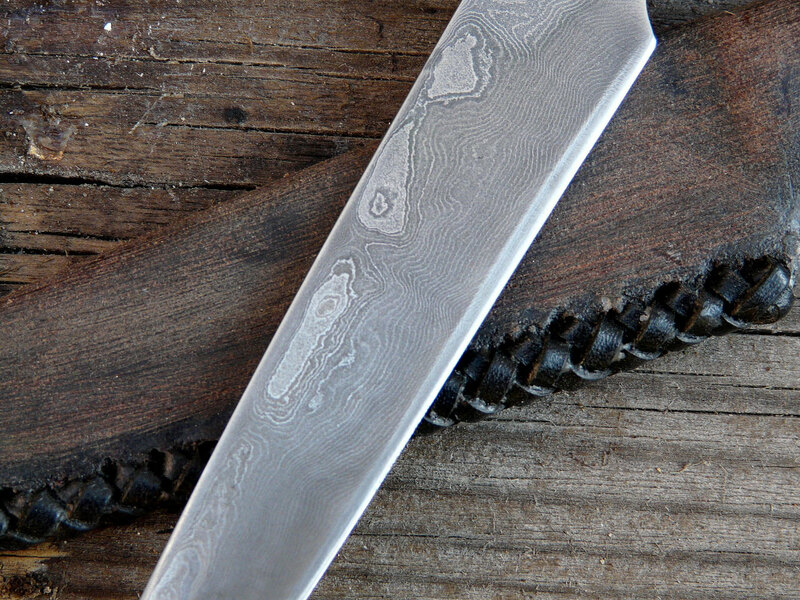 Zonal heat treated and etched. 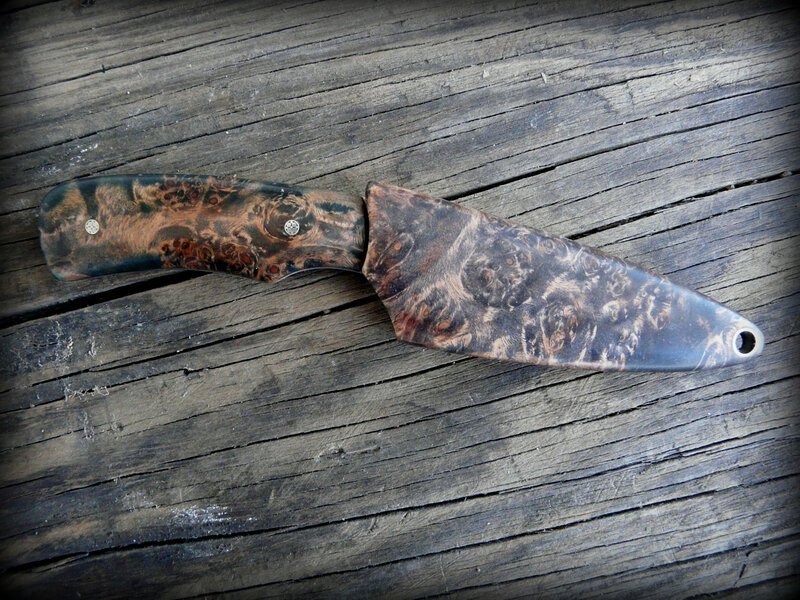 Full flat grind.